J.K. Rowling continues to reveal secrets from the Harry Potter universe. This time, she confirmed the sexual relationship between Albus Dumbledore and Gellert Grindelwald. The author had previously hinted at a possible relationship between the two during their teenage years when she revealed that Dumbledore was gay and in love with Grindelwald. Fantastic Beasts: The Crimes of Grindelwald is currently available on Blu-ray and Rowling talked about the two characters while recording the bonus content for the physical release. As the world of Harry Potter continues to expand with movies such as Fantastic Beasts: The Crimes of Grindelwald, J.K. Rowling has been keeping fans updated and informed about facts they wouldn't normally know. For instance, Hogwarts didn't have indoor plumbing for a really long time, leading to a creative way to get rid of human waste. Now, we know that there was a "sexual dimension" to the relationship between Dumbledore and Grindelwald. Rowling explains. "Their relationship was incredibly intense. It was passionate, and it was a love relationship. But as happens in any relationship, gay or straight or whatever label we want to put on it, one never knows really what the other person is feeling. You can't know, you can believe you know. So I'm less interested in the sexual side - though I believe there is a sexual dimension to this relationship - than I am in the sense of the emotions they felt for each other, which ultimately is the most fascinating thing about all human relationship." J.K. Rowling first said Dumbledore was gay back in 2007. Some fans were not into knowing that fact, but the majority of Harry Potter fans embraced it and praised Rowling for confirming it. However, this caused a bit of a backlash when it was revealed Fantastic Beasts: The Crimes of Grindelwald would not be addressing Dumbledore's sexuality, especially by fans who were already speculating about a sexual relationship between the two characters. Fantastic Beasts: The Crimes of Grindelwald director David Yates says, "This is a story about two men who loved each other, and ultimately have to fight each other." Yates also noted that the sequel is a "story for the 21st century." 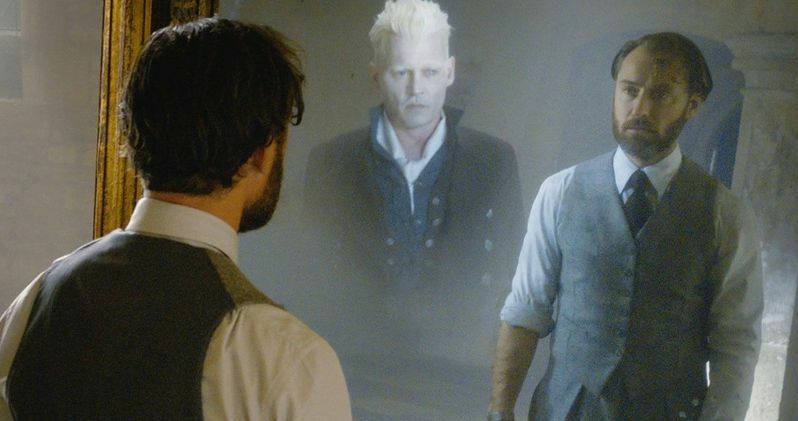 Regardless, some Harry Potter fans were angry that the movie did not tackle this aspect of the relationship between Dumbledore and Grindelwald. It's going to be interesting to see how fans react now that the news has been confirmed. Related: Harry Potter's Scar Isn't What Most Fans Think? As far as exploring Albus Dumbledore's sexuality in future movies, J.K. Rowling has only hinted at it. At the end of last year she said, "We'll see him at that formative period of his life. As far as his sexuality is concerned... watch this space." For now, it is unclear what Fantastic Beasts 3 will get into in terms of exploring the formative years of Dumbledore, but fans are already excited to see where the series is going to go after the mixed reactions to Fantastic Beasts: The Crimes of Grindelwald. This news was first reported by Complex.